Asus stepped into the premium game last year with the Zenfone 3 series of phones. The Taiwanese brand surprised everyone not only with the prices of the entire Zenfone 3 series, but also by expanding the product lineup. At the moment, Asus is covering every price bracket starting from Rs. 8,000, and going all the up to Rs. 65,000. The Asus Zenfone Go smartphones are priced below Rs. 10,000; the Asus Zenfone Max series caters to the sub Rs. 15,000 price point; the Asus Zenfone Laser is priced between Rs. 15,000 and Rs. 20,000, while the standard Zenfone phones are priced between Rs. 20,000 and Rs. 30,000. Lastly, it has the Zenfone Deluxe and Ultra phones which compete with the flagship smartphones out there. Then entered the all new Asus Zenfone Live smartphone, aiming to change the live streaming scenario in India. The Zenfone Live comes with a Beauty Live camera application, where you can link your social media accounts and start live streaming. Besides the beauty live streaming feature, there isn’t a single standout feature on the phone. The Asus Zenfone Live comes with a 5-inch HD display with a 2.5D curved glass on top. 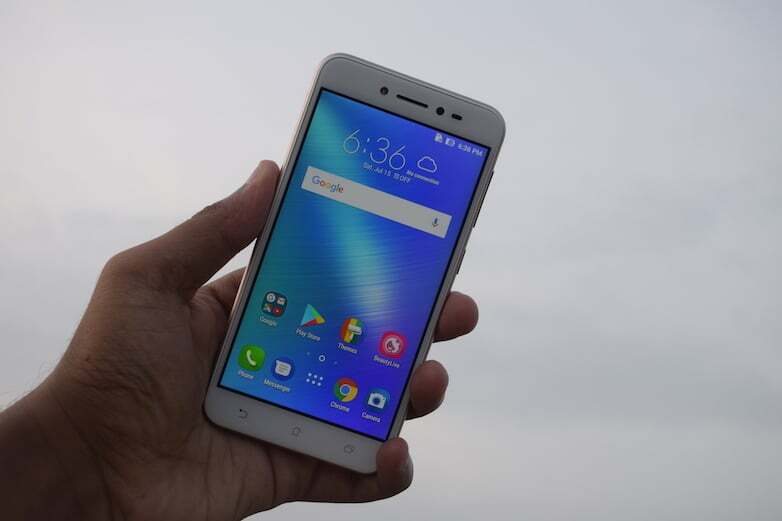 It is powered by the Qualcomm Snapdragon 400 chipset, clubbed with 2GB of RAM and 16GB of internal storage, which is expandable up to 128GB with a microSD card. Asus has added a 5MP front-facing for the Zenfone Live, which also has a real-time beautification feature, as said earlier. The smartphone has a 13MP rear camera with f/2.0 aperture and LED flash. The phone has a non-removable 2650mAh battery and boots Android 6.0.1 Marshmallow with Zen UI 3.0 on top. Asus has priced the smartphone at Rs. 9,999, and it’s still selling at the same price. Now, as the specs sheet itself suggest, the phone doesn’t match the competition in the price range. They are not only outdated, but doesn’t inspire confidence to purchase the smartphone. However, there are good things about the Zenfone Live. 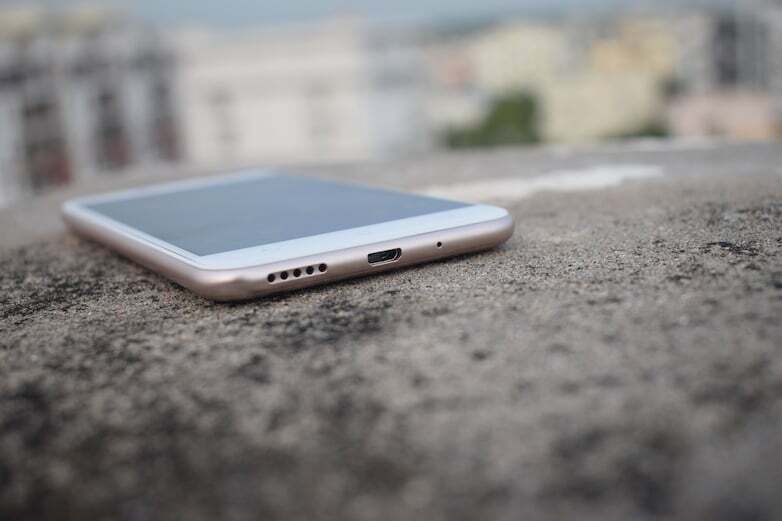 Firstly, the weight of the smartphone- Yes, the smartphone is very light at just 120 grams, and is one of the light-weight smartphones available in the market right now. Before using the Asus Zenfone Live as my primary device, I was on the Gionee A1 Plus, and it’s almost a loss of more than 100 grams. Sometimes I even felt like not handling a smartphone. Then there’s the 5-inch display. The Zenfone Live may have a display resolution of 720*1280, but it’s one of the best 720p panels I have seen in the price range. In fact, the display is better than the Xiaomi Redmi 4, and it even gets brighter in heavy sunlight conditions. 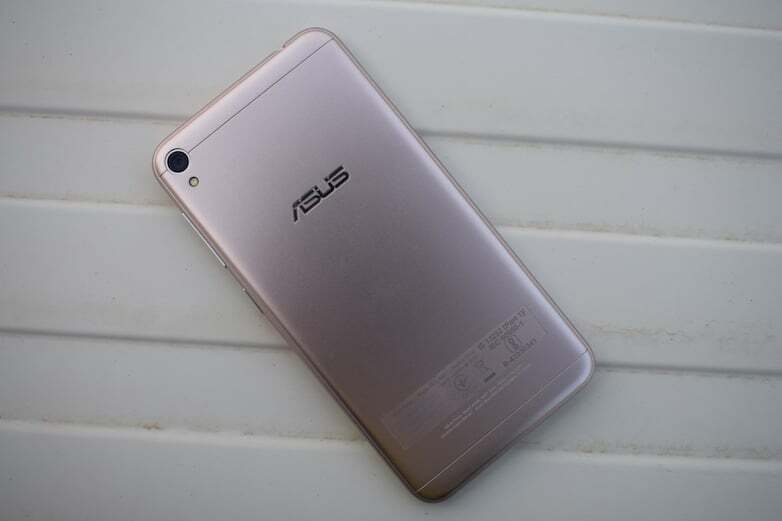 Coming to the processor, Asus has gone with a four-year-old chipset to power the Zenfone Live. The Snapdragon 400 processor was a great chipset in its era, but we not into Snapdragon 450 era, where app load time has increased by more than 500 percent. The Snapdragon 400 chipset handles all the apps, but the app load time is terrible. 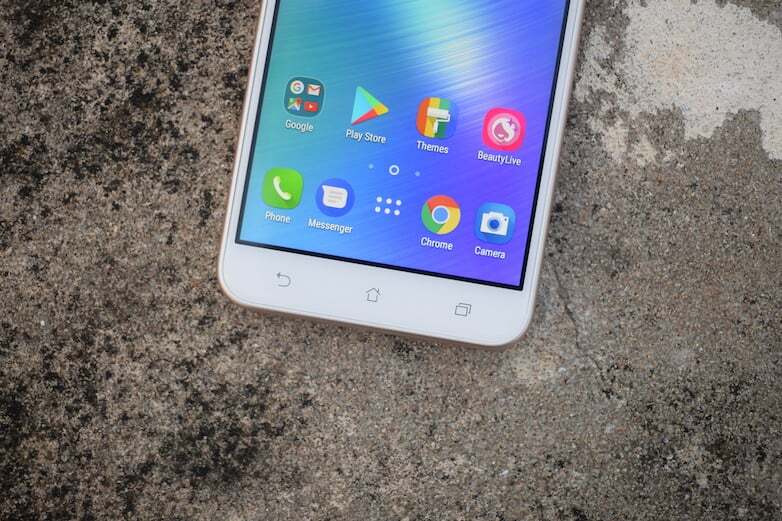 Furthermore, the chipset is paired with just 2GB of RAM, and thanks to Asus’s aggressive RAM management, the phone doesn’t even keep five apps in memory. It handles less intensive games such as Beach Buggy Racing, Subway Surfers, etc., but heavy graphic titles such as Asphalt Xtreme and Nova 3 fails to load at times. 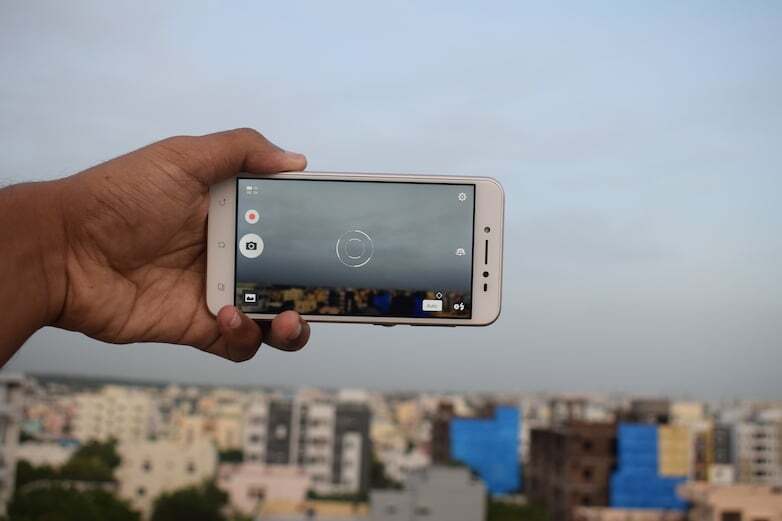 Coming to the prime feature of the Asus Zenfone Live- it comes with a 5MP selfie camera with a live beautification application called Beauty Live. As the application name itself suggests, it adds beauty filter in live videos. The Beauty Live application has apps such as Facebook, YouTube, and Instagram to link your accounts and go live from the app itself. While this feature seems to be innovative, Asus execution and the device’s hardware don’t produce the expected results. 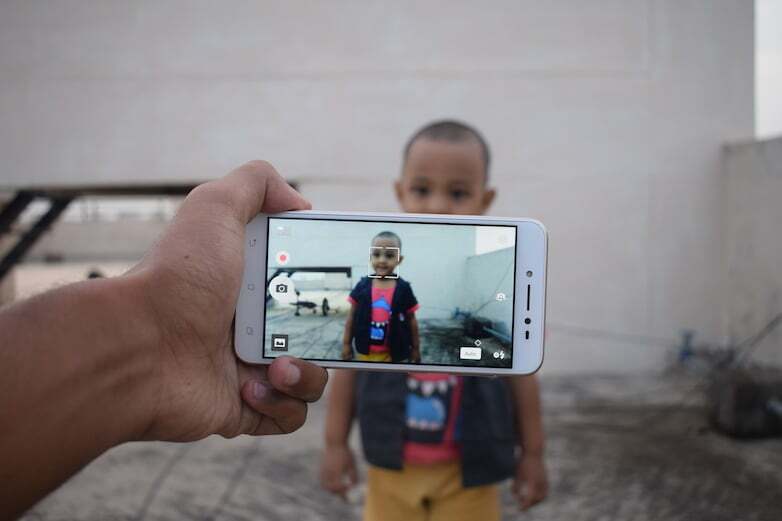 The 5MP front-facing camera is not enough to shoot live videos in low-light conditions. Overall, this feature from Asus is a mishit, but it improves with time and devices. The 13MP rear camera also doesn’t inspire confidence because it doesn’t capture images true to life. Colours look faded away all the time, whereas the low-light images can not be posted on social media. Lastly, the Zenfone Live runs on Android 6.0 Marshmallow with Zen UI 3.0 on top. In the entire review period, I haven’t faced a single issue with the user interface, but the only concern is the aggressive RAM management. Asus has added a 2650mAh battery to the Zenfone Live, which thankfully lasts for a complete day even with heavy usage. Thanks to Zen UI optimisations as well. The Asus Zenfone Live is priced at Rs. 9,999, and for the same price, we have the best selling smartphone of 2017- the Xiaomi Redmi Note 4. Even the Rs. 6,999 Xiaomi Redmi 4 is a better smartphone than the Asus Zenfone Live. The Zenfone Live is a huge mishit from the Taiwanese smartphone brand. The live beautification feature seems to be a great one on paper, but it’s let down with the poor hardware.